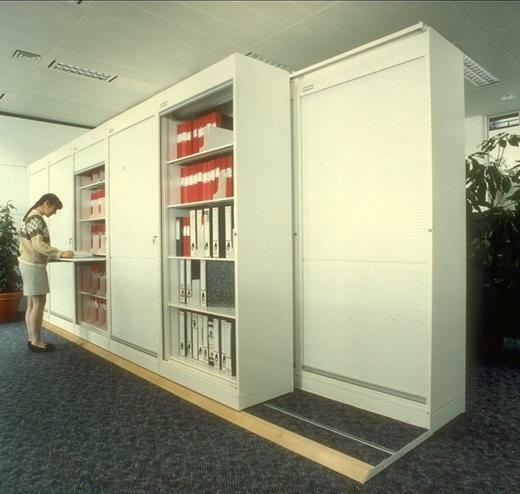 This is a self contained storage system designed to make better use of awkward spaces by combining static and mobile storage. A basic installation comprises two static modules to the rear, with a Glide A Side unit on floor tracks to the front. 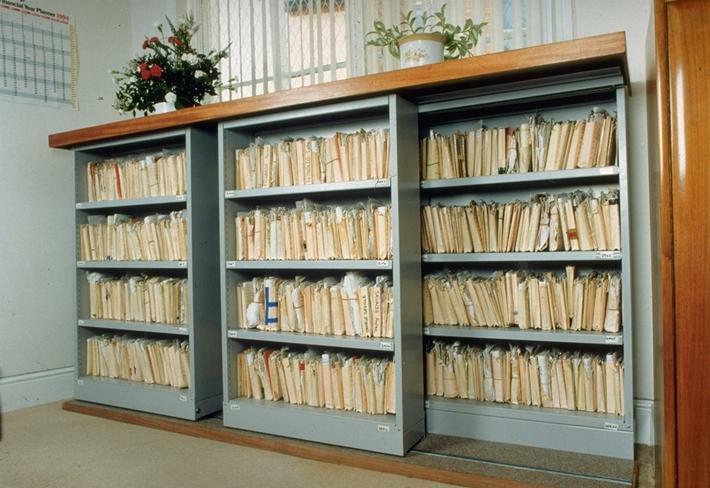 It can often provide the solution to achieving extra storage in confined office areas such as alcoves, corridors, etc. Installation can be expanded lengthways simply by adding Glide A Side or static units as required. 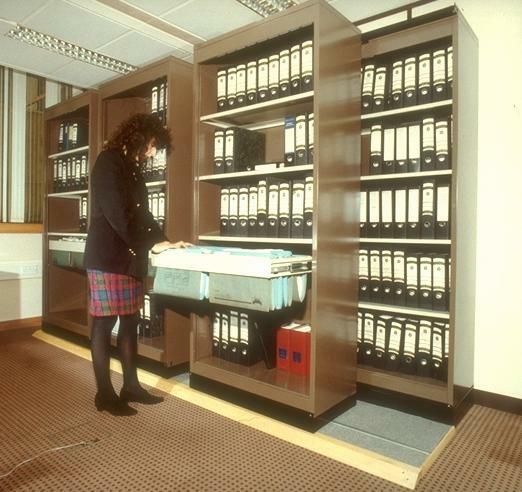 Centre island and back to back units can also be created to make use of wasted areas or to partition off spaces. A comprehensive design, supply and install package is available. Easy to install with a minimum of disruption, track and floor are simply laid on top of most existing floors allowing relocation if required. 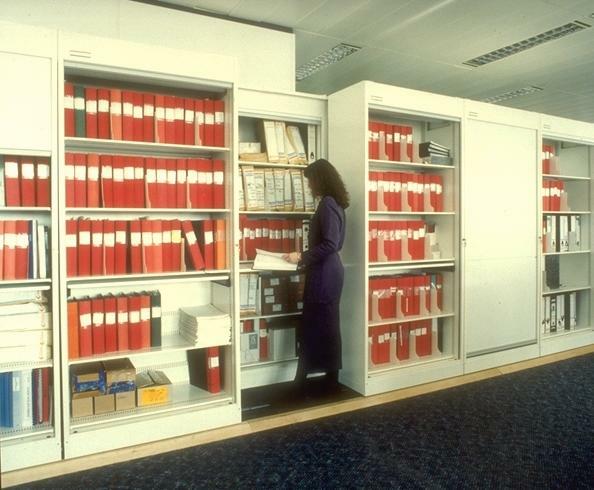 Static and base units can be supplied with a wide range of shelving, filing equipment and cabinets. A range of carpet colours is available to complete a scheme sympathetic with existing decor.